Dr. Ertürk comes from Turkey. He obtained his undergrate degree from Bilkent University in Ankara (Turkey) in 2003. 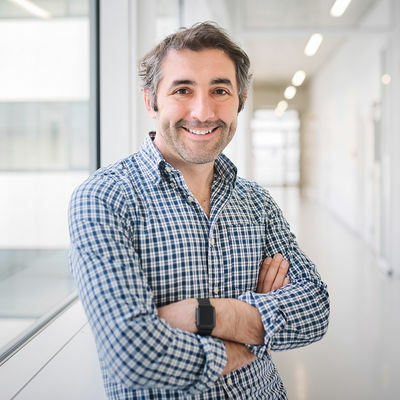 He then moved to Munich to do his Ph.D work at the Max Planck Institute for Neurobiology, where he worked on axon degeneration and regeneration in the spinal using in vivo imaging and tissue clearing methods. In 2009, he moved to San Francisco for postdoctoral studies at Genentech, where he worked on non-apoptotic caspase-3 actions in spine degeneration, traumatic brain injury and whole brain tissue clearing to assess neurodegeneration. Dr. Ertürk is interested in understanding cellular and molecular mechanisms leading to chronic neurodegeneration after traumatic brain damage. To this end, he uses state-of-the-art imaging technologies, including 3D imaging of the entire transparent brain. The main goal is to develop groundbreaking approaches for the treatment of the consequences of acute injuries in the CNS. In addition, Dr. Ertürk has developed a technology to "produce" prototypes for human organs with a 3-D printer. This will make organ donations superfluous in the future and will rejuvenate the human organism.